Pillars of Eternity II: Deadfire players are no strangers to choice. But when you boot up the game from January 24 onwards, your first decision will come even before character creation – real-time or turn-based? Since the inception of the series, Pillars has been firmly rooted in the wonderfully messy but deeply tactical real-time and pause paradigm of the Infinity Engine games. That wasn’t a decision the dev team made, so much as a duty they fulfilled to nostalgia-driven Kickstarter backers. 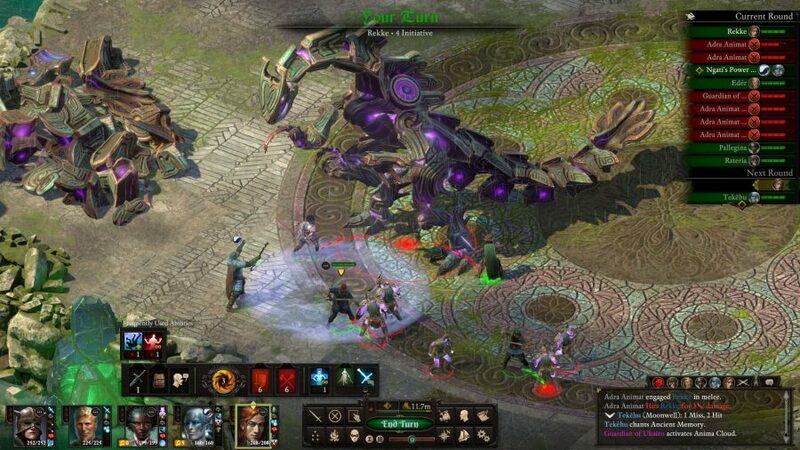 Now, though, Deadfire is fully playable in a new turn-based mode. It’s the most fundamental and far-reaching change Obsidian has made to any of its games after release. It has involved an extraordinary amount of work, rebuilding the UI, finding a neat way to display turn order, rebalancing encounters throughout the game – all for a free update. It’s a wonderful gift for fans, but what could possibly be the financial argument for making it? 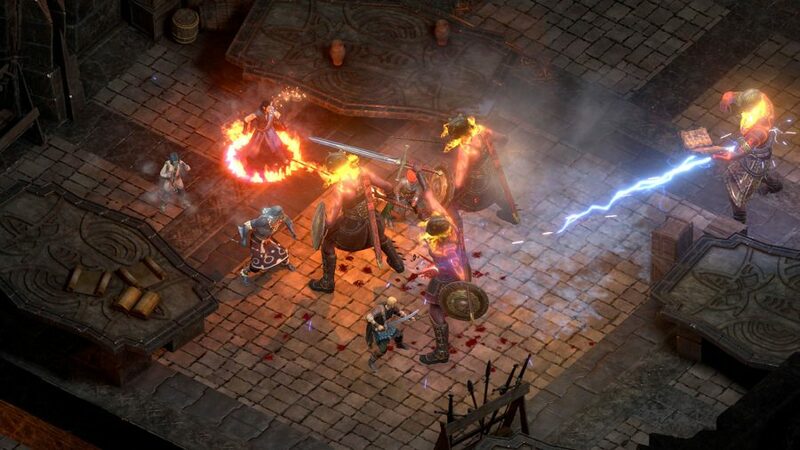 First of all, it’s worth noting that Deadfire’s turn-based mode is partly inspired by – and greatly resembles – the combat in Divinity: Original Sin 2. Larian’s game became a fixture of Steam’s top sellers list upon its launch in September 2017, and had sold a million copies by the end of that year. It’s the kind of mainstream success Obsidian probably wouldn’t mind partaking in with Pillars. You might be familiar with this kind of mechanic fatigue yourself – when new challenges and stories aren’t enough to offset the lack of anything new to grapple with in combat or character development. Once you’re fighting that opening boat battle in Deadfire, given time to stare around at your pirate opponents and the pistols they’re brandishing, it’s true that you see the game in a new way. 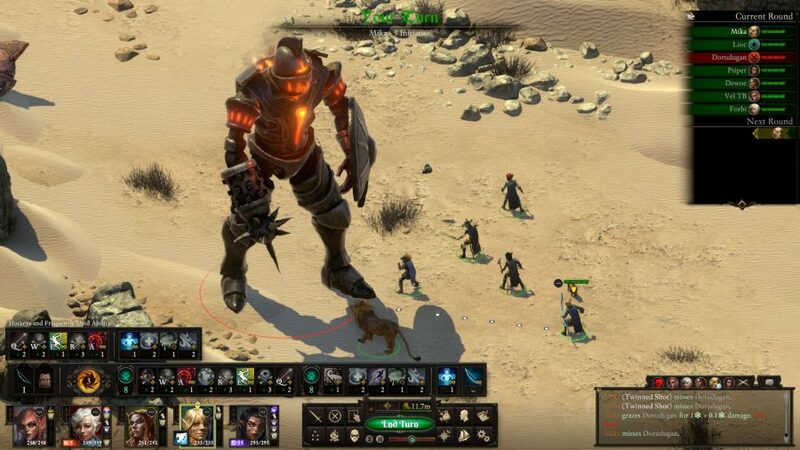 In testing, Obsidian has noticed that turn-based players tend to lean into micromanagement, embracing flanking and positioning. You might suddenly realise that knockback abilities are perfect for pushing enemies into the range of AOE fireballs, for instance, or that the rogue’s ability to switch places with another character can change the course of a fight. You might even – whisper it – find yourself caring about armour ratings for the first time in your life. Turn-based combat, then, is an opportunity to see Pillars through new eyes, and perhaps unlock some of its less penetrable systems. But most pertinently, it utterly alters the rhythm of Deadfire. In a game intended to stay in your life for weeks or months, that’s no less significant than a tempo change in a favourite album. It’s important to note that Obsidian has retained the ‘fast mode’ incorporated into real-time Pillars, a sanity-saving measure for those longer fights. Turn-based combat might not suit every single one of the game’s battles, but it will delight those RPG fans who will be turn-based ‘til they die. A faction which includes, surprisingly enough, longtime real-time designer Josh Sawyer.